I wasn't able to get to Monday's meeting but I will be there next week, Feb 13th when June Elsey is stepping in for Mike Dobson. Mike was going to be taking a workshop but has had to re-schedule. 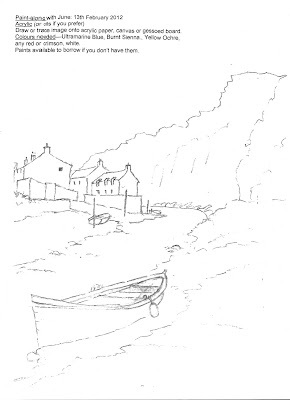 June will be painting the picture below of Staithes, so hopefully I will have plenty of paintings next week. 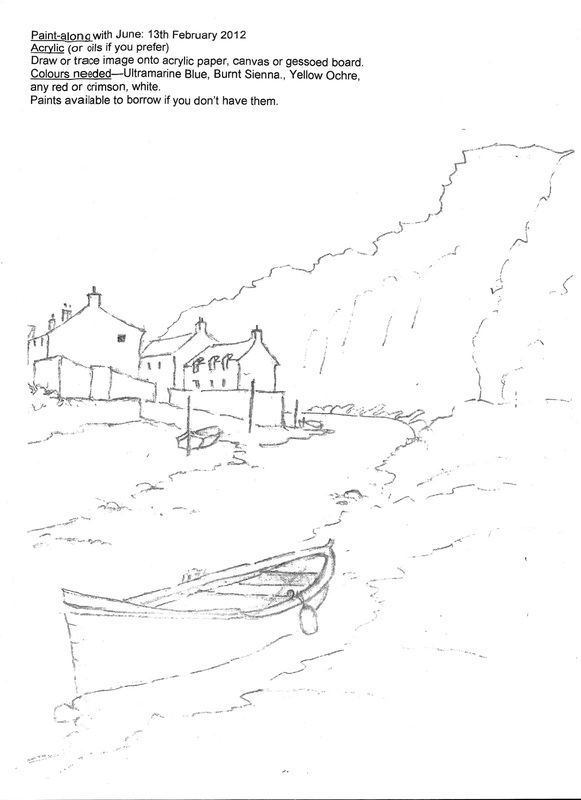 It will be in Acrylics or Oils , so you need to draw , trace, download , print etc the picture onto acrylic paper , canvas or gessoed board and you will need the following colours. Ultramarine blue, Burnt Sienna, Yellow Ochre, any Red or crimson and white. There are some paints available to borrow if you don't have them.